Nothing creates an air of sophistication, style and interest like a water feature. Turn your backyard into a peaceful retreat with the soothing sound and movement of water. Whether you’re looking to create a relaxing atmosphere to soothe your senses, a silent mirror pool to reflect your garden’s beauty or roaring cascades of sound to block undesirable noise, a water feature is the perfect accessory for every home or garden. At Landscapes WA, we specialise in the design and construction of all types of water features, including water walls, ponds and spillways. Looking to turn your garden into a peaceful retreat with the sounds of nature? 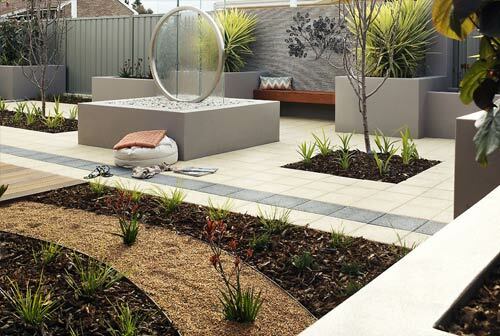 At Landscapes WA, we create each unique water feature by using natural materials and water plants. 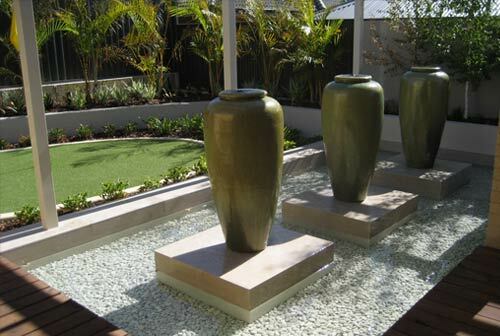 We customise your garden water features according to your interests and mesh them with nature’s accents. Flowing water induces a tranquil atmosphere with its motion and sound. Moreover, they convert bland outdoor spaces into little pieces of paradise. Enjoy the breathtaking naturalistic displays of natural rock, moving water, colourful fishes and beautiful plants. When you seek to add any type of water feature like a waterfall, fountain, pond, or water walls, we consider how it fits your personal lifestyle and outdoor needs. If you have swimming pool, spa and pond features, then water walls are an ideal option. You can add a charm to our outdoor entertainment of guests with our exclusive garden water features that bring the party to life. If you have any questions regarding the equipment and the construction of garden water features in Perth, Western Australia, contact us today!